The Detroit Pistons sit near the top of the Eastern Conference thanks in large part to the execution of their Snap Series. To date, there are two teams in the Top Ten in both Offensive Rating and Defensive Rating per NBA Stats. One, as you might expect, is the Golden State Warriors. The other is the Detroit Pistons. The Pistons (8-3) sit near the top of the Eastern Conference standings powered by Stan Van Gundy’s handoff-heavy attack. The Pistons lead the NBA in handoff possessions with 119; the Miami Heat follow with 102. Many of the handoff concepts flow through Andre Drummond who serves as a facilitator from the elbow in Van Gundy’s “Snap” Series. Below are three favorite sequences from the Detroit Pistons Snap Series. In these Snap Series sequences, the Pistons move the defense with some pitch action to start the possession. A quick ball reversal followed by a dribble pitch sets up either an elbow entry or a ball screen. In Snap Fist, the Pistons flow from pitch action into a step-up spread ball screen. Timing is key as Player 5 steps up into the ball screen as Player 1 is receiving the pitch. Players 4 and 2 tie up the weak side with a down screen. Player 1 may attack out of the ball screen, find Player 5 rolling or play the drive and kick game with Player 3 should the defense provide corner help. Snap Hold also features the pitch action but it flows into an elbow entry where Drummond is positioned opposite the ball. From there, the Pistons screen for the handoff recipient. After ball enters the elbow, Player 5 delivers the handoff to Player 4 who is coming off a screen away from Player 1. The screen away enhances the handoff by disadvantaging Player 4’s defender. The consecutive actions of the screen away and the handoff challenge the defense. Player 4 is seeking a downhill attack coming out of the handoff. Player 3 is holding the corner awaiting the drive and kick game and Player 2 is available on the corner drift as his defender may be the only available helper at the rim. The same pitch action initiates Snap Dribble. Players 1 and 4 exchange with the swing and pitch and the ball flows through the elbow where Drummond (Player 5) is stationed. Player 1 cuts to the far corner clearing gap space for Player 5 and Player 3 to play the two-man game. Player 5 keeps the ball on the strong side of the court and delivers a handoff to Player 3. Due to Player 1’s cut and the down screen action on the weak side, Player 3 has ample gap space to attack as he exits the handoff. In many ways the elbow has become the new low post in NBA basketball. Teams are moving away from traditional post ups and the elbow offers an excellent place to facilitate from. Drummond is among those players with a decreased post up frequency. 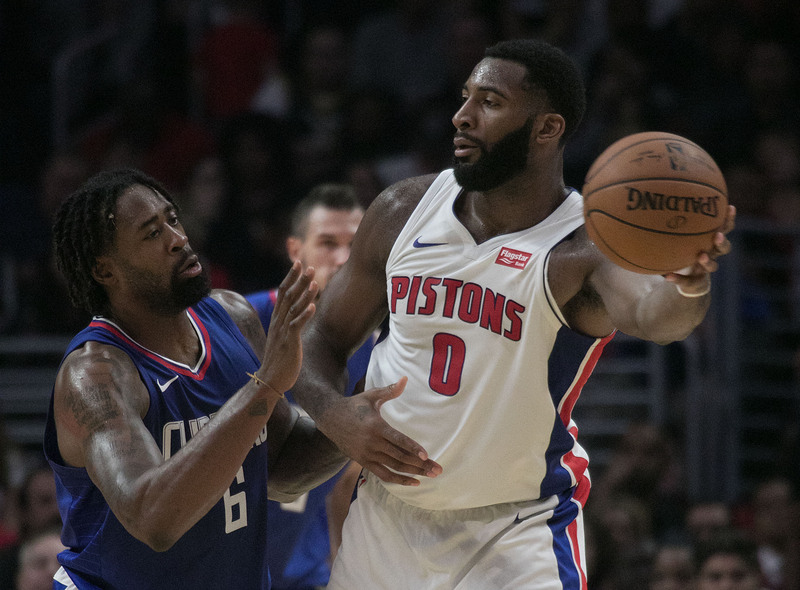 The Snap Series utilizes the elbow as a facilitation point and the results have been beneficial to the Pistons’ offense as well as the won-loss record.